Last week, large liberal cities across the globe (though mostly throughout North America) sprang to life with a passion for the weird, the wild, the kind and the clever. GISH was upon us once again. 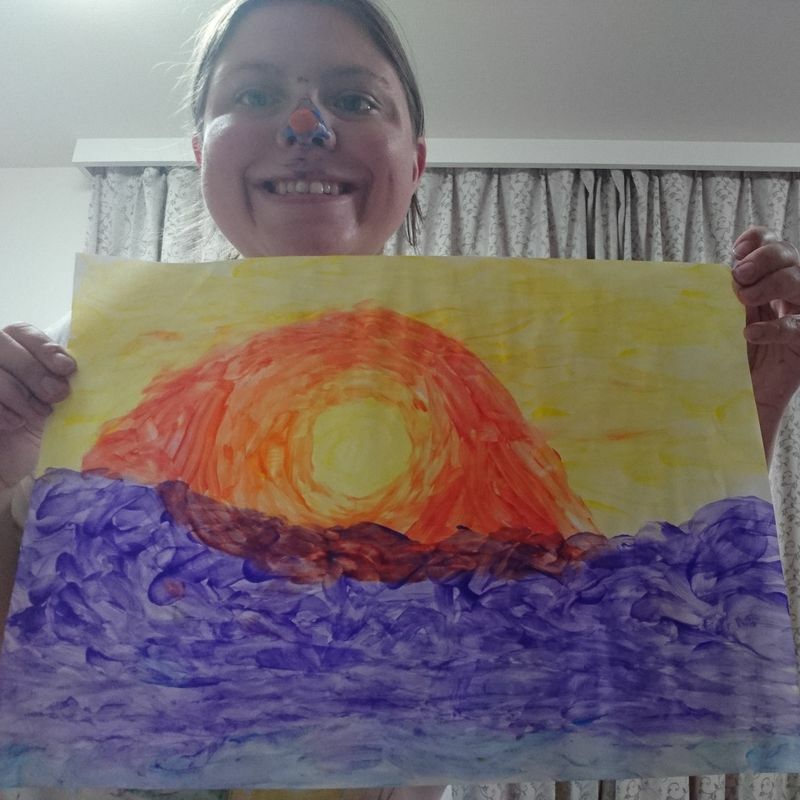 My first item this year: Paint with your nose. GISH, formerly GISHWHES, is the Greatest International Scavenger Hunt. It happens once a year, for one predetermined week, and the people who play this game call themselves gishers. They come in many shapes and sizes, ranging in age from 14 to 100 or more and generally set about having a good time for a good cause. I've been doing this for years. Literally years. Every year my team roster changes and I wonder if our new people will catch on or freak out and we've had a decent amount of each. This year, mostly, people did more than what I expected of them. 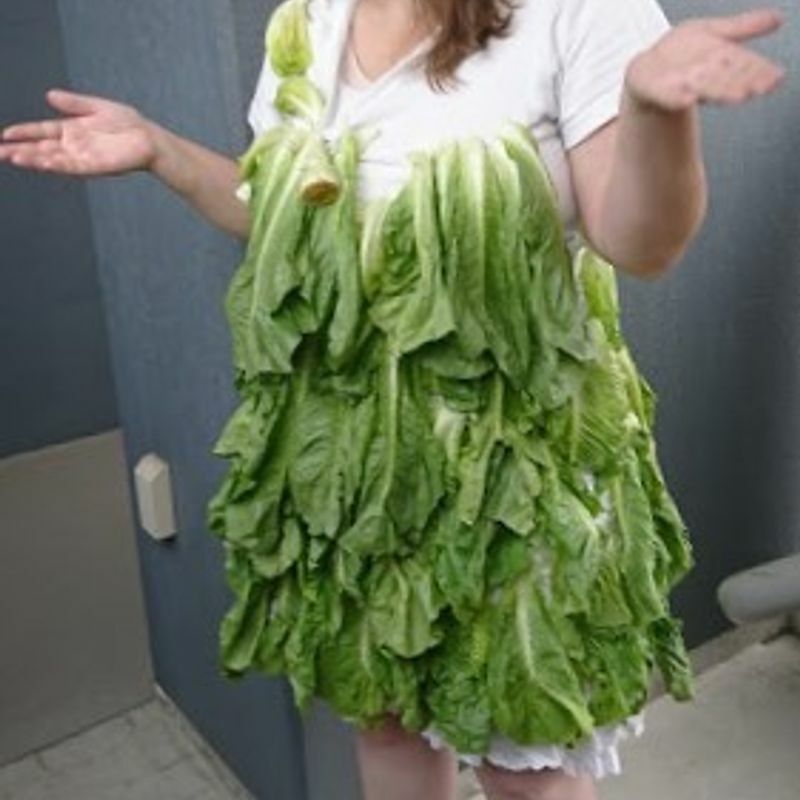 Romaine Lettuce Toga. It took a whole afternoon and 4 heads of romaine. I even managed to raise more than $100 to help Rwandan genocide survivors set up livelihoods for the foreseeable future, which is still shocking to me. That item was worth 150 points and I didn't see us getting it. Those things never work for my team, but they're usually taken over by one of our teammates who chose not to participate this year. The difference is that I pressed my Facebook friends list to find 10 people who wanted to help for the low low cost of $10 a piece and a promise of some small thank you from me. Luckily I have enough people who want to help others and want a little something from Japan that this worked. 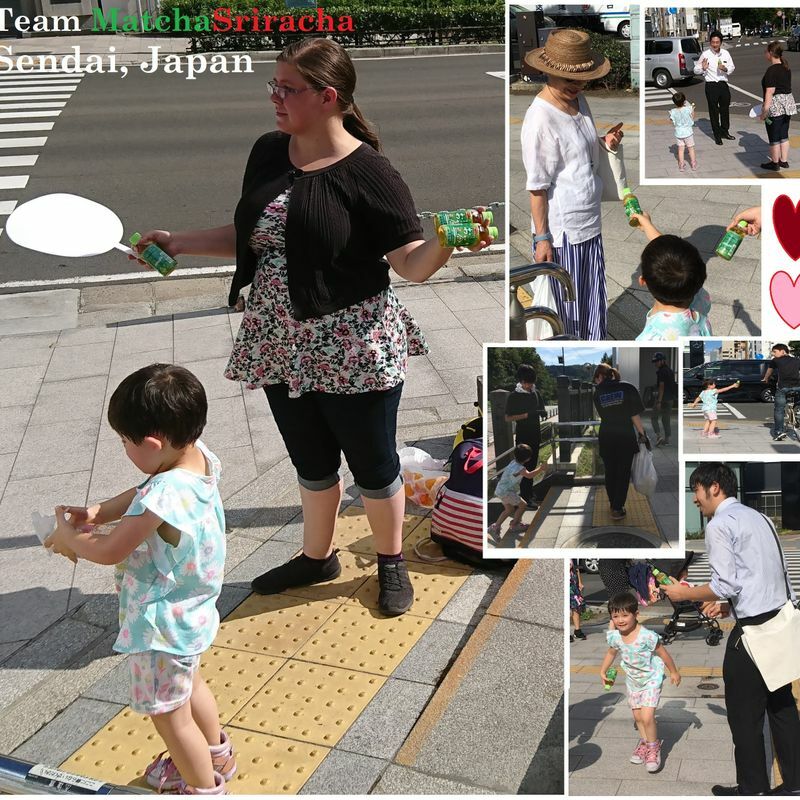 Us giving tea to random pedestrians in Sendai. Another aspect that was different this year was the inclusion of the app, named GISH, which provides a decent enough tool for finding people roughly in your area, communicating with others all over the world, checking out the list and submitting items during the hunt, as well as chatting with your own team. It's a pretty convenient tool but I found it a bit buggy at points. I could not submit a single item on app, but the website still worked for that, so I just managed all of that on the PC. One item this year included finding people in your area on the app and fulfilling some item on their wish list, a set of 10 things we were encouraged to put on our profiles. The first night of GISH, I came up with my list and posted it, waiting for other people in Japan to catch on. Ideally this item could be completed in person, but gishers in Japan tend to be far flung. There are a bunch around Nagoya, Osaka, and Tokyo, but up here in Miyagi, it's mostly just me and my one friend who I invited to the event. To submit this item, you needed a picture of the person you sent something to holding the thing, which wasn't going to happen within the week-long hunt with anyone out of country, so I searched around Japan the next night and found, to my delight, that many people had started participating. I found one woman in Osaka who wanted an English conversation lesson, which happens to be what I've been doing for a living since 2008, so I messaged her and set up a time. Her English was fairly low level, but she was enthusiastic. She wanted to speak better the next time she meets Jensen Ackles, who we both agree is the hot one on the Supernatural cast. We also discussed how hard it is to GISH in Japan, even in the large cities. It was weirdly wonderful to bond with a student I never met and give her a little more language experience. i liked this item so much I did it three times, the other two ladies sending me packages as well, which happened to arrive just as I needed a boost. 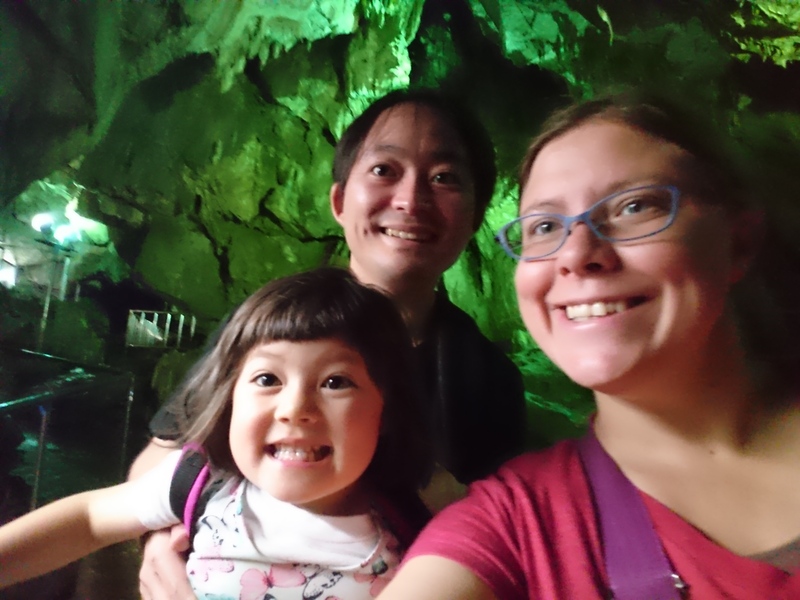 So gishing in Japan, like living in Japan, isn't for everyone and can be challenging, but in the end, I feel glad and extremely lucky to be doing it. The lettuce toga is epic! I love that it's a good mix of fun stuff and also helping others. Do you think they'll do it again next year? If you think it's something I could do even from rural Japan I'd definitely be interested in giving it a shot! @genkidesu They will and you should! Check out the app in the meantime. It's helped me find reasons to be a little more connected to my surroundings and I really think it is just so much fun. As for the hunt proper, teams are usually 15 people, but you can join solo and be put on a team or check out other people on the app and see if their teams need an extra person. There's usually at least one "only in Japan" item on the list (this year it was riding the world's shortest escalator near Tokyo) so teams like having at least one person somewhere in Japan. Join us! You'll love it!